إن فندق Burswood Lodge Motel Apartments بموقعه الممتاز في Rivervale هو نقطة انطلاق جيدة لنزهاتك في برث. يحظى هذا الفندق ذو 3 نجمات بمكان ممتاز يسمح بالوصول إلى المعالم السياحية الأكبر في المدينة، فهو يبعد مسافة 5.0 km عن صخب المدينة. بالنسبة لمن يريد الخروج، هذه بعض المعالم السياحية المتوفرة للزوار ‪Elizabeth Quay‬, ترانبي هاوس, Tekno-Medical Australia Pty Ltd.
إن الخدمات الممتازة وحسن الضيافة العالي في Burswood Lodge Motel Apartments تجعل إقامتك تجربة لا تنسى. هذه بعض الخدمات الموجودة في هذا الفندق: خدمات بريدية, خدمة سيارات الأجرة, خدمة حجز التذاكر, تسجيل وصول/خروج سريع, تخزين الأمتعة. في الفندق غرف نوم يتجاوز عددها 26، كلها مجهزة بعناية وجمال وبعضها مزود بـ تلفزيون بشاشة مسطحة, اتصال لاسلكي بالإنترنت, اتصال لاسلكي بشبكة الإنترنت (مجاني), غرف لغير المدخنين, مكيف هواء. كما أن مجموعة الخدمات الواسعة الموجودة في الفندق لضمان راحتك تترك لك الكثير من الخيارات لقضاء وقتك أثناء فترة إقامتك. 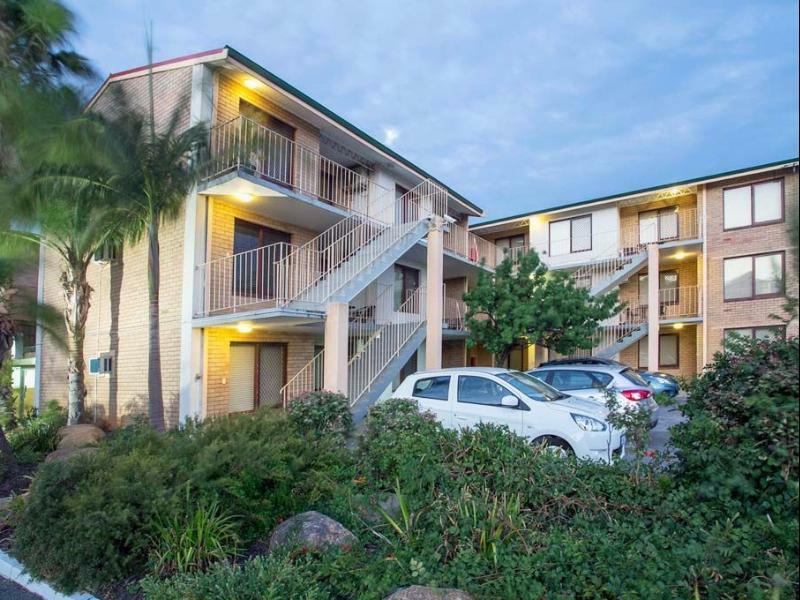 اكتشف مزيجاً ساحراً من الخدمة الاحترافية والخيارات الواسعة من وسائل الراحة والمتعة في Burswood Lodge Motel Apartments. Motel is attentive & had made arrangements to meet to our special requests. Reception is very helpful to arrange for remote check in as we arrived very late (3.45am).. Basic apartment, definitely value for money deal . Location is very close to city and Belmont. The apartment is look old and need renovations and major freshing up to make it look more exciting and inviting. Overall its not bad, although our next door was very noise and unfortunately you can hear clearly their conversation. Shower hot water tap not working, unable to open the hot water. Was asked to use the empty room opposite to shower instead. Kitchen sink water tap leaking. No wifi. Overall, the room looks old and out of date. Too noisy, very run down, no secure parking, no lamp globe, no dishwashing detergent, broken ironing board, no response to complaint. We did not stay our second booked and paid for night as we felt very uneasy there with our children. Location for us was great and value for money was good, 2 Bedroom apartment. It was clean but run down and tied looking. Everything from cutlery, blinds to the fold out beds. Had a very rude wake up from a neighbour at 5.30 am which wasn't nice. We will not be going back. Spartan 1bdrm Apt. No toiletries other than soap. No extra pillows or cushions or pictures on the walls. 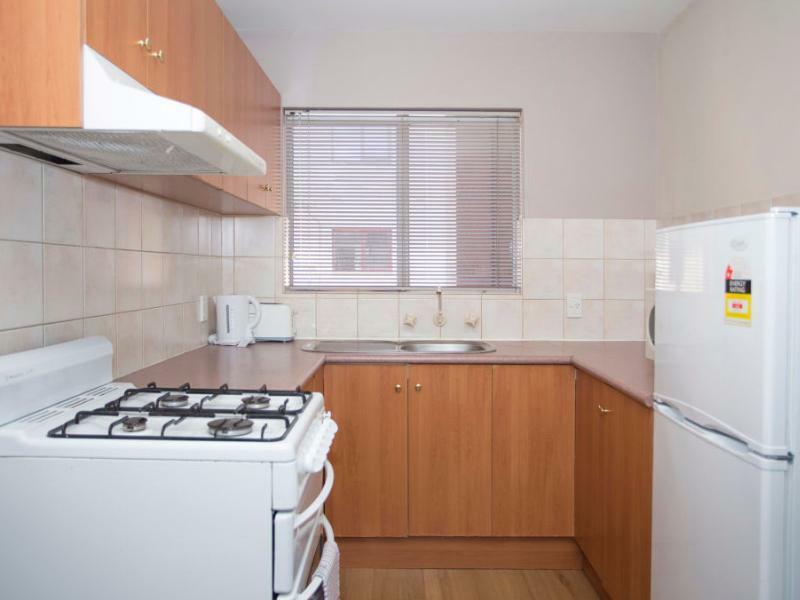 GOOD kitchen with full size stove and fridge. Heater and lovely hot shower and comfortable bed (bedspread needs a wash or replacing) Poor sound on the TV. Amazingly quiet considering the close proximity to the Hwy. Excellent location for the Crown Theatre or Casino. More than adequate for a night or two. No one on reception 4pm on a Thursday - phone call needed to access key. The hotel is near airport with airport bus stop in a walking distance (500m). The owner left the room key in the locker for us since we arrived after reception hours. The room was spacious but the floor was kinda greasy. We thought it was cleaned already since everything looked tidy but we guessed the water used to clean was dirty. Anyway, it's okay for one-night stay. 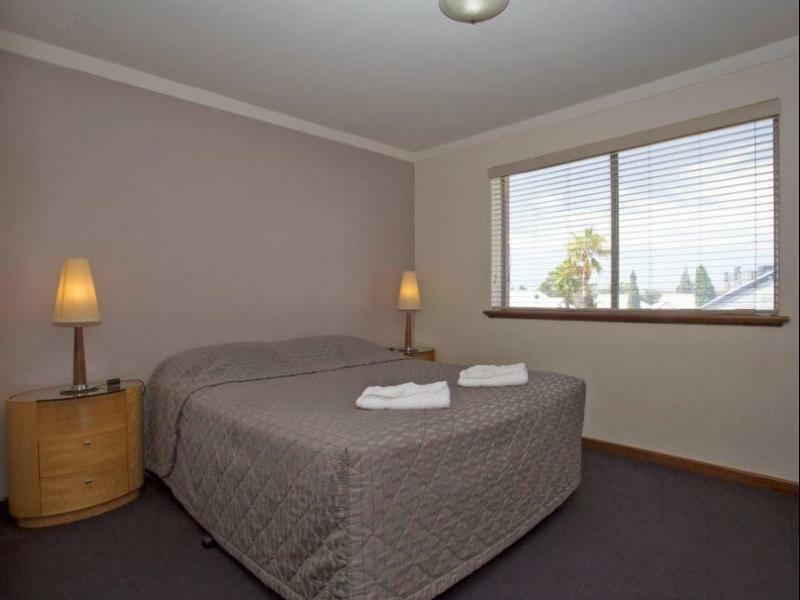 We have stayed at this motel a few times since we travelled to Perth a lot. And we always have a great experience, hence the return business from us. However, this last time we had shocking check in. We arrived about 6pm and rang the phone number for check in (no staff after 2pm) and to get the safety box access code number to get our key. The staff, she gave me the code number, I punch in the code but come up with error message and loud noise. I told her what happen, and she again repeat the code and tell me again what to do (mind you, this was not my first time in the motel, so I know what to do already). So, I punch in the number again many times, still the same error number and loud noise. I askes her if she gave me the right code number and she said yes and still asking me to punch in the number, I have to put the phone closer to the machine so she can hear the loud noise. At the end she asked me to hang up and ring again later when the loud noise stop and try to punch in the number again. I tried again and still cant get it. I ring again and she said she will find someone to come over to check whats wrong and will ring me again. So by this time we have waited for 20 mint trying to get the room key from the security box and been asked to wait again. After waiting another 15 mint she hasnt ring me back, so I ring her again & been told to wait again because she still hasnt find anyone to go over. Another 5 mint waiting, she rang back and gave me A NEW CODE number to punch in and this time it was SUCCESS & we finally get the room key. We were so upset and angry by then. We have waited over 40 mint to get our room key while our toddler was super tired and hungry already and we just want to check in into the room after long drive from Geraldton. And the worse thing was she didnt apologise at all, for giving me a wrong code in the first place and make us waited that long to get our room key. Great location, fantastic pricing for size and amount of guests permitted, decor not brand new, fittings are old, noisy upstairs but awesome for the price of the stay. Lounge and TV great, water was hot, fully equipped throughout, comfy chairs, comfy beds, clean rooms, fridge cold and good size and just fantastic for an enjoyable stay. 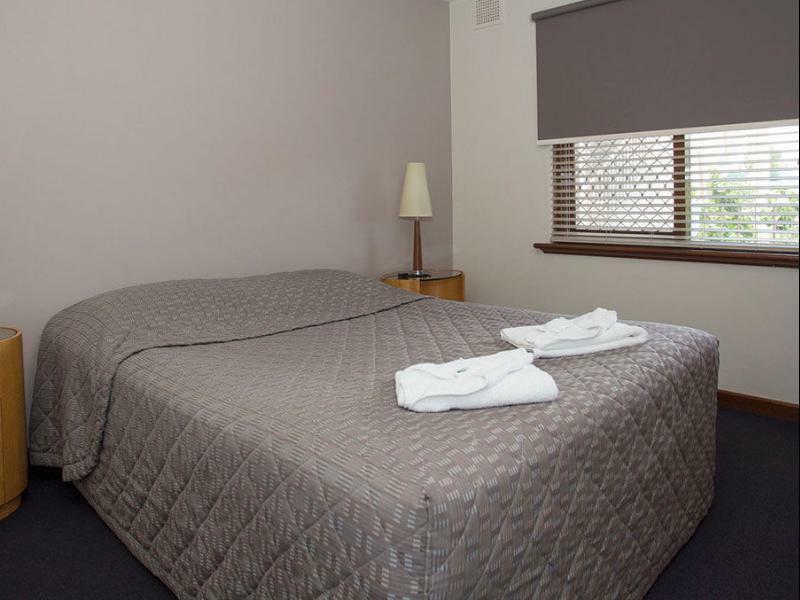 Only negatives were reception hours, noisy in rooms when people coming in and out upstairs or partying, parking is a little tough out the back, the taps all leak, and don't bother out the Pizza across the road very average although was not expensive. Would highly recommend for small family, couple, travelers or even a few mates having a short stay, all you need is close by and has everything you need to live comfortably in a house, without the Hollywood finish and the add-ons!!! Well worth every cent.. I have to say that this properties provide good location, well and clean equite apartment, free parking. The only complaint was the draining system in the United that I stay. The water couldn't drained properly at the shower area coz it to be "flooded" . It is pretty annoying. The person in charge couldnt do much about it. We went there for 1 night from Kalgoorlie. My daughter attends a boarding school in Perth and we went to take her out for dinner and shopping and then return back to Kalgoorlie the next day. When we arrived everything was alright, we put our stuff in the room, went to pick our daughter up from school and went out to dinner. Knowing that we were travelling the next day, we went back to the hotel early so we can get some rest before traveling the next day. We were woken later that night by party people above our room, shouting, swearing and throwing bottles out their window onto our back step. My children were scared and in turn we did not get the rest we were expecting. Arrived at motel at 1500 no one there rang up and got key out of a box, went to room and found it had not been cleaned or bed made up from night before, Rang up again and was given another room, was not as good as advertised, when we work up next morning there was no hot water for a shower,asked cleaning staff but they did not see interested to help us so we left key in room and left would nor recommend this motel to anyone.